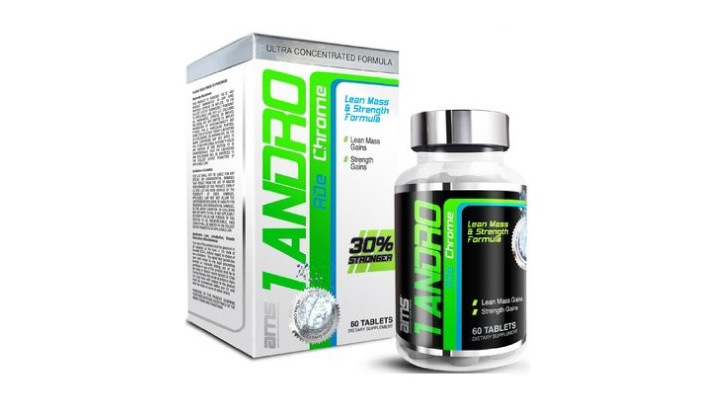 1-Andro RDe is an excellent non methylated prohormone to get middle muscle mass and size gains. 1-Andro RDe is a safe and mild prohormone that contains about 100 mg of 1-androstene-3b-ol-17-one (1-Androsterone / 1-DHEA) per pill that converts to the potent compound 1-Testosterone. Difference between finaflex 1-andro and 1-andro RDe ? Advanced Muscle Science’s prohormone have a complex to increase the absorption of the product. Give it a try if you have the money ! If not, go with finaflex 1-andro which is same thing with a lower price in general. Leader manufacturer in legal and safe prohormone, AMS (Advanced Muscle Science) presents you 1-Andro RDe : a tweaked version 1-DHEA ! Actually, 1-Andro RDe contains some 1-Androsterone (1-androstene-3b-ol-17-one) which converts after to 1-Testosterone in your body. RDe stands for Rapid Dissolve Effervescent because AMS included an ingredient that can increase the absorption of 1-Andro. This non methylated prohormone is good for beginners that are looking to get overall great gains in strength and muscle mass (lean muscle) ! Can also be added in a cutting – recomp cycle and prohormone stacks. Where to buy 1-Andro RDe – Advanced Muscle Science (AMS) ? 1-Andro RDe is no longer available on the market. We recommend you to read our article about the best prohormones of 2019. Want to share your review for 1-Andro RDe – Advanced Muscle Science (AMS) ?